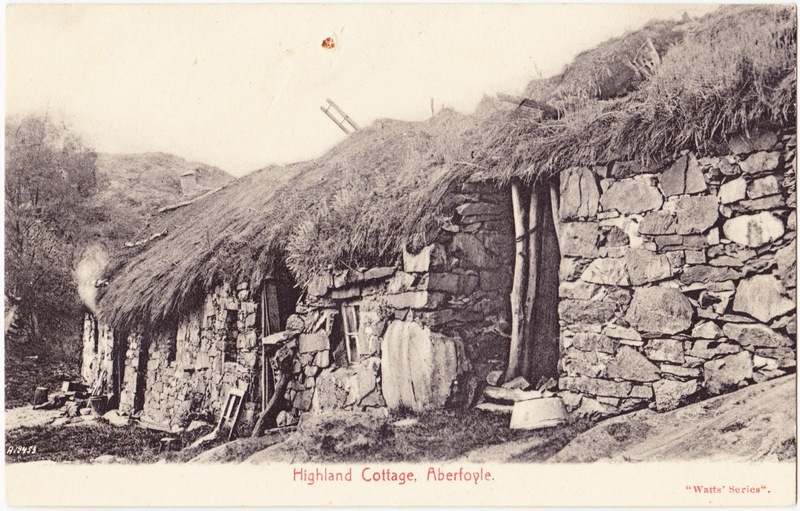 Here's a summer vacation special for you — a "Highland Cottage" in Aberfoyle, Scotland. Plumbing and electricity not included. As in, there is none. As a bonus, though, he you might see some fairies and other magic folk. "Kirk had long been researching fairies, and the book collected several personal accounts and stories of folk who claimed to have encountered them. ... Kirk had long believed that the local Doon Hill was the gateway to the 'Secret Commonwealth', or the land of the Fairies. It was a place that Kirk visited often, taking daily walks there from his manse. The story goes that the Fairies of Doon Hill were angry with the Rev. Kirk for going into the domain of the Unseelie court, where he had been warned not to go, and decided to imprison him in Doon Hill — for one night in May 1692, the Rev. Kirk went out for a walk to the hill, in his nightshirt. Some accounts claim that he simply vanished, however he suddenly collapsed. He was found and brought home, but died soon afterwards. He was buried in his own kirkyard, although local legends claim that the fairies took his body away, and the coffin contains only stones. The huge pine tree that still stands at the top of Doon Hill is said to contain Kirk's imprisoned spirit." So, don't be surprised if you hear some bumps and noise while staying in this cottage. And if a few coins and baubles going missing, it might be best not to investigate.